A member asked for the links to the snow plow estimators. The online snow plow estimator can be viewed here. 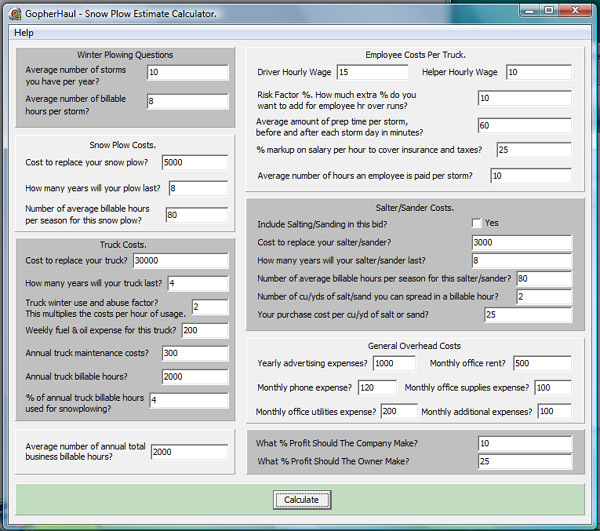 The downloadable snow plow calculator version for windows can be bought here. Are you tired of start up lawn care business owners underbidding jobs because they simply just don't know what their expenses are? Well why not educate them!